Designed in warm, southwest tones the all-suite accommodations including the redesigned Agave Suites at North Pointe and casitas provide a relaxed and inviting experience for all guests. 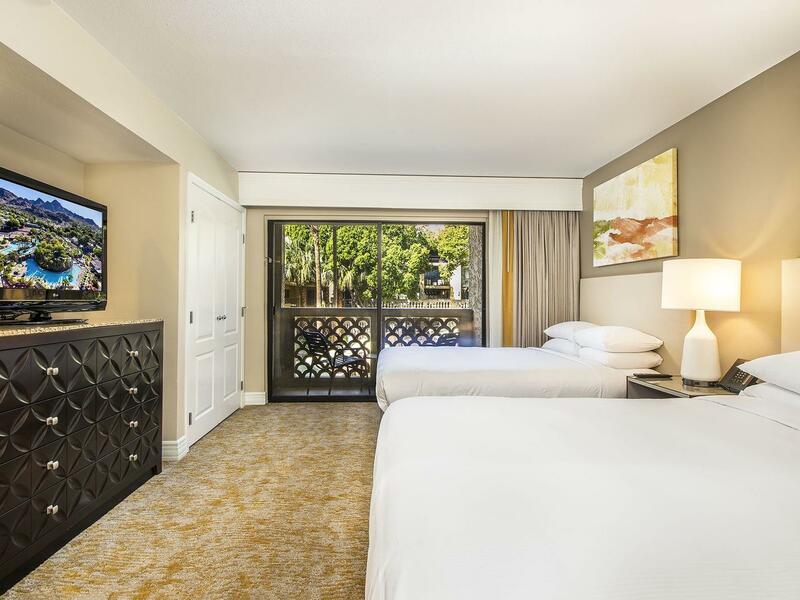 Featuring a separate living room, flat-screen TVs and other thoughtful amenities, our suites and casitas reflect the comfortable, approachable vibe of Phoenix. The Agave Suites at North Pointe offer one king or two queen beds from the Hilton Serenity Collection™, featuring Suite Dreams® mattresses. 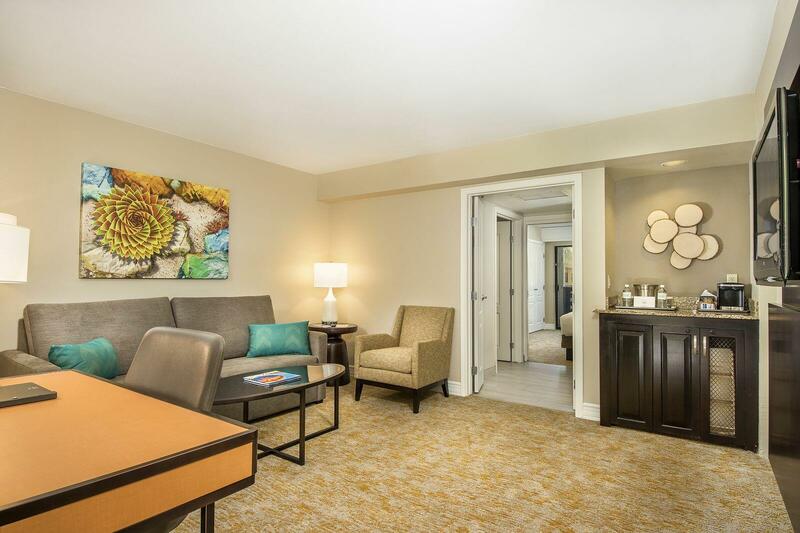 Enjoy modern furnishings, a separate living room and upgraded suite amenities such as bottled water and a bathrobe. Agave Suites at North Pointe have a dedicated entrance, lobby concierge and exclusive access to the Agave pool. The South Pointe Suites are available with one king or two queen beds from the Hilton Serenity Collection™, featuring Suite Dreams® mattresses. 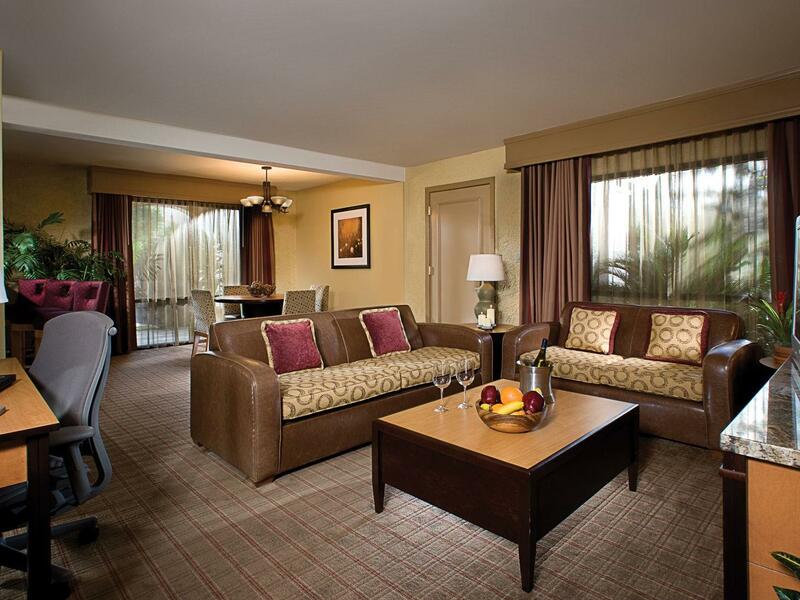 All suites offer a separate living room, two flat-screen TVs, high-speed Internet access and a queen-sized sofa bed. 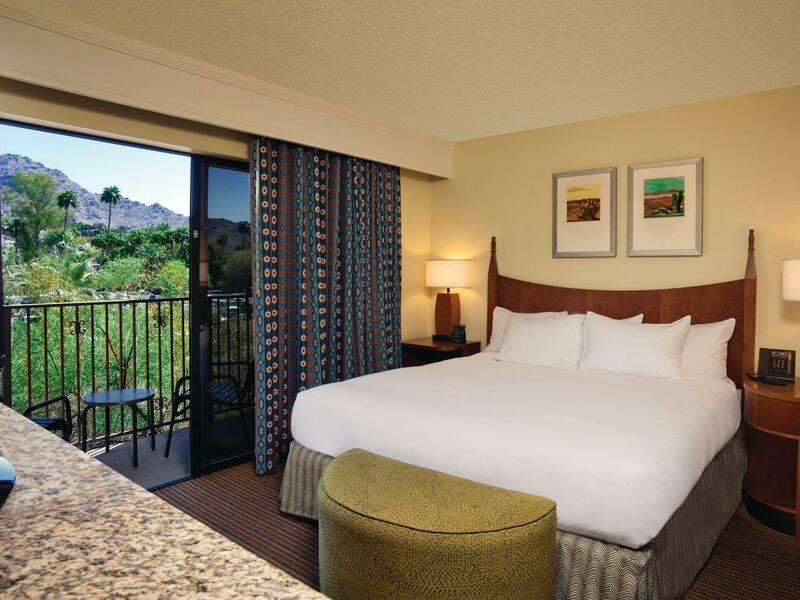 The spacious casitas provide all the amenities of our standard suites – plus much more. Casita are available in two-story, one- and two-bedroom units. One bedroom casitas are 1,080 square feet and two bedrooms are 1,340 square feet; both have a flat-screen TV upstairs and downstairs for everyone’s enjoyment. Each Casita also features a living room, one full and one half bath, a dining table and a private carport. 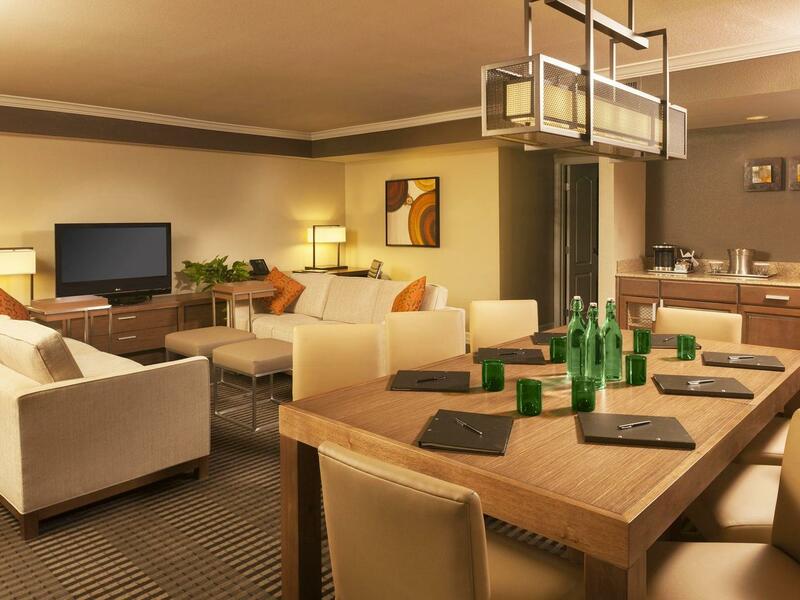 The 880 square-foot suites are ideal for business travelers or vacationing families. Step into the spacious living room, with its large table accommodating eight to ten people, two flat-screen TVs, cozy couches and a full and half bath.